Packford International has been established in May 1995. 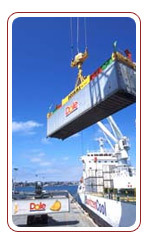 Packford International specializes in the global shipping of air cargo and sea cargo. Geographically we are based in middle east, but we operate world wide. At Packford International, we are very proud of the professional and successful attitude of our employees who live up to our company's slogan "When it comes to cargo we know how". This attitude is also appreciated by our business partners who acknowledge the friendly, professional, and efficient cooperation with us. We define service by our very important claim "the passion for excellence". To achieve this high goal is what we strive for every day. It is our intention to be the most friendly, innovational and proactive provider. Visit our tracking page where you find resouces in which you can track your cargo online anytime. All you need to do to know where your cargo is at the moment is simply entering the B/L no & AWB no.